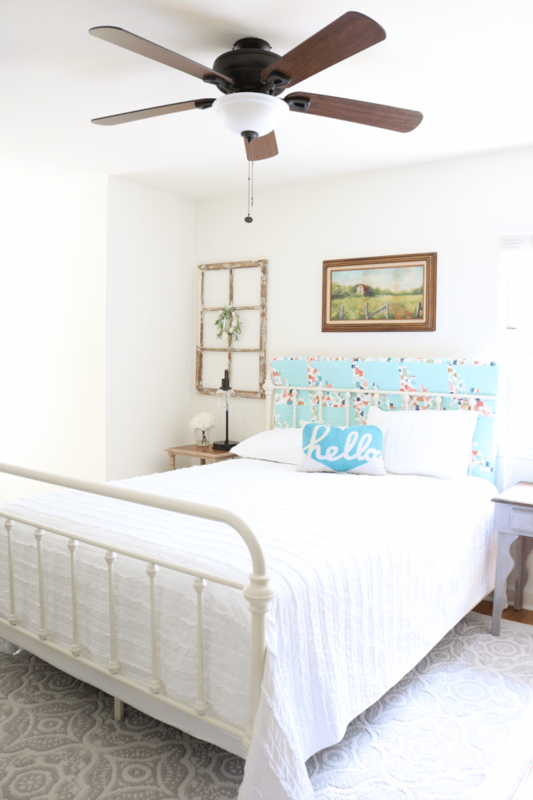 Is your guest room a hot mess like mine? I keep saying that we just moved in, ha! We’ve been here for 18 months, it was past time to decorate my guest room. 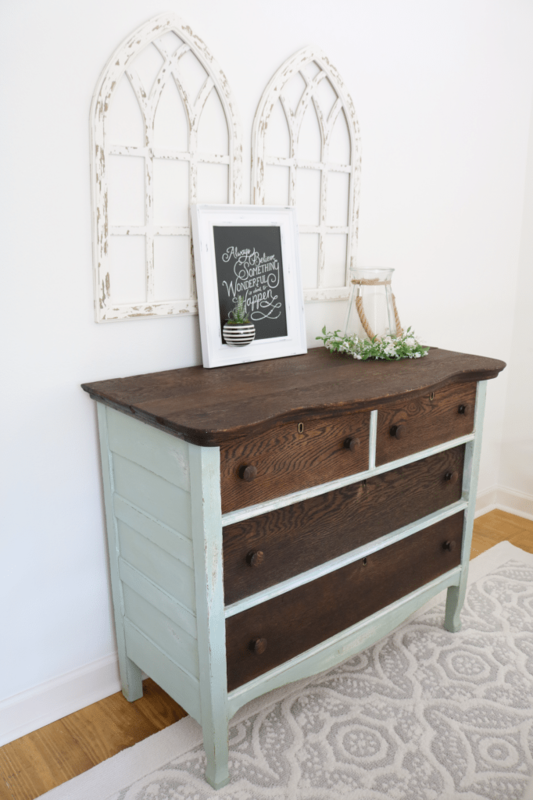 Today, I’m sharing affordable ideas for a guest room refresh. We moved in and just tossed the necessities in! 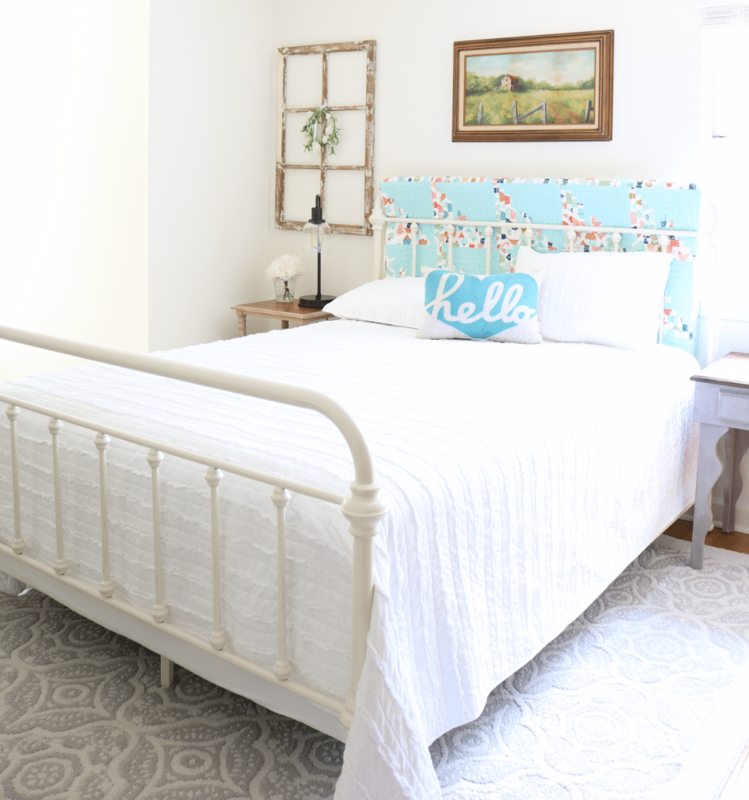 We’ve been working all over the house, it’s time to tackle the guest room. This room was driving me crazy. 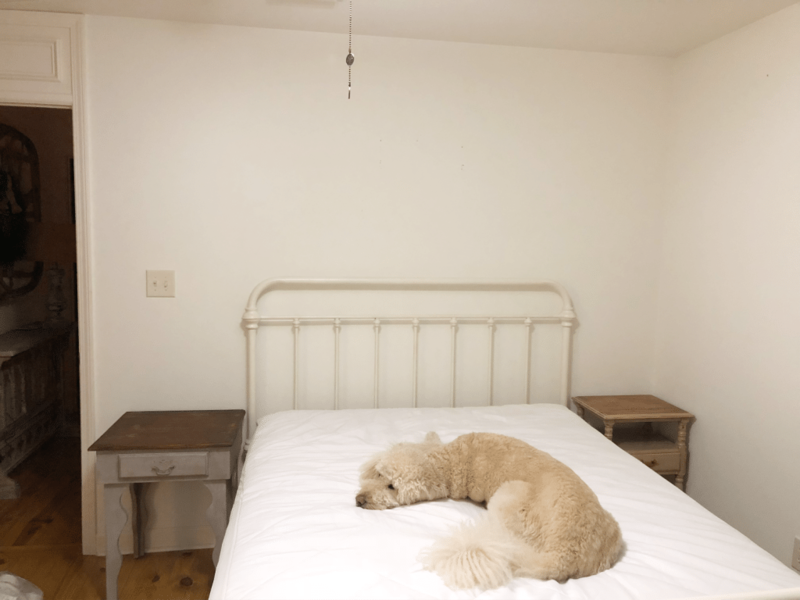 I had the bed against the wall where the door is located. The room is so small and there’s a window on the other wall, I had thought about rearranging everything to the window wall but just had not gotten around to it. A Facebook live, prompted me to take the plunge and get it done! Now when I walk in the door, this is how the guest room looks! Remove everything from the room. 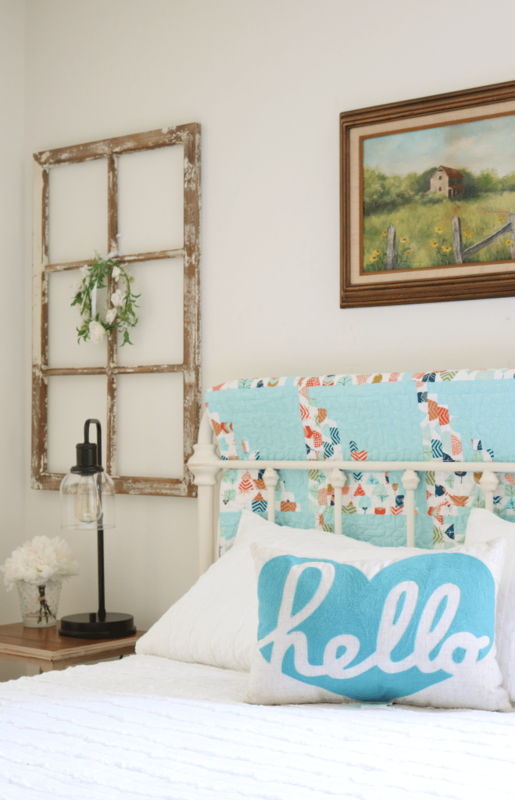 Rework the wall art and add Mama’s quilt. I removed all the decor that I was not adding back to the room. I used this opportunity to clean and dust. Moving the bed was easy, I just pushed it around. The bed is not that heavy and there are pads on the bottom of the legs. 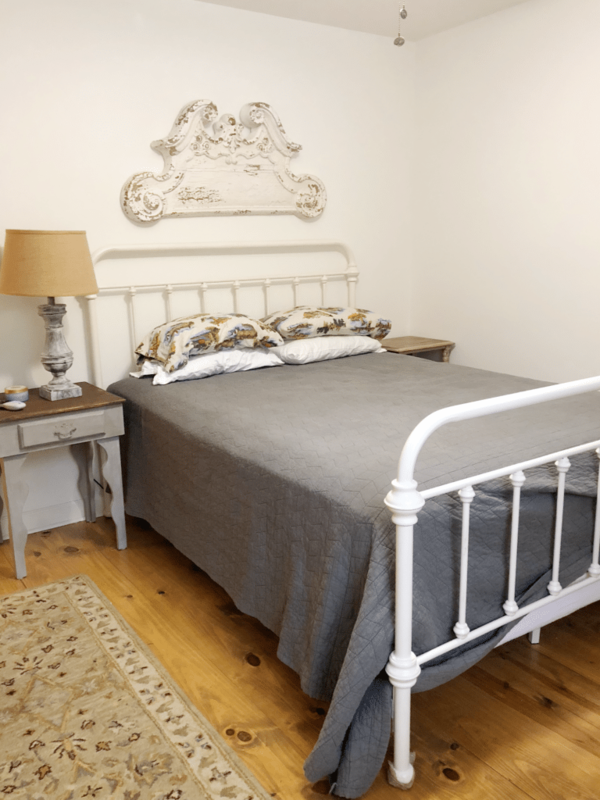 The bedding really helped to freshen up the space, while I loved the gray quilt, it just wasn’t right. I shopped the house and closet for the artwork. I knew that I wanted the quilt that my Mama made for me to have center stage. 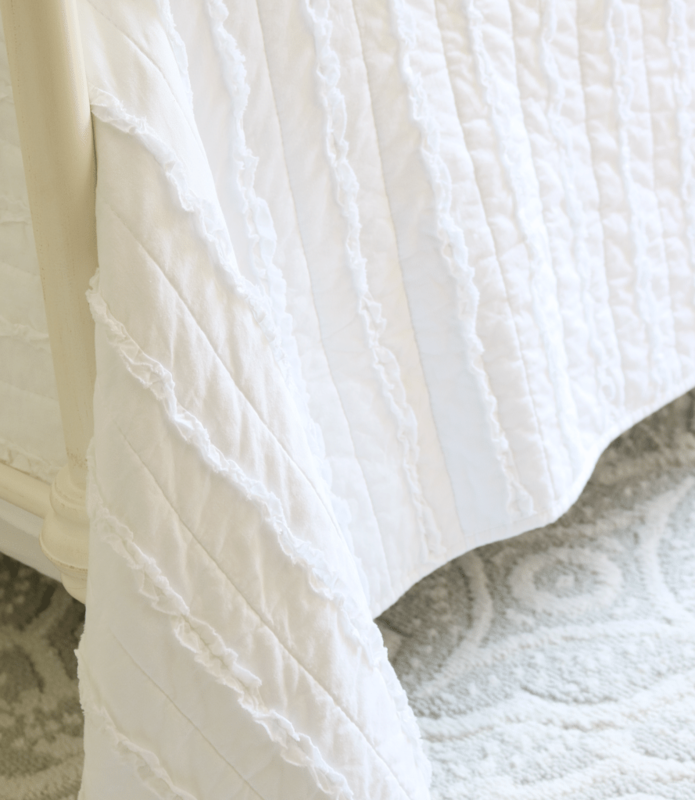 With this style bed, it was so easy to drape the quilt on the headboard. 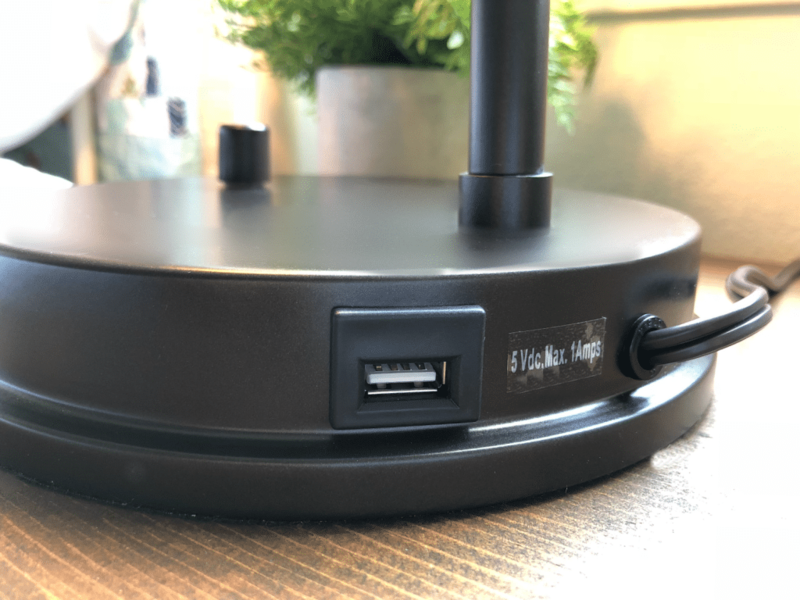 The lamps I chose are perfect for the bedside, they also have a USB port, iPhones or other devices can be charged while my guests sleep. 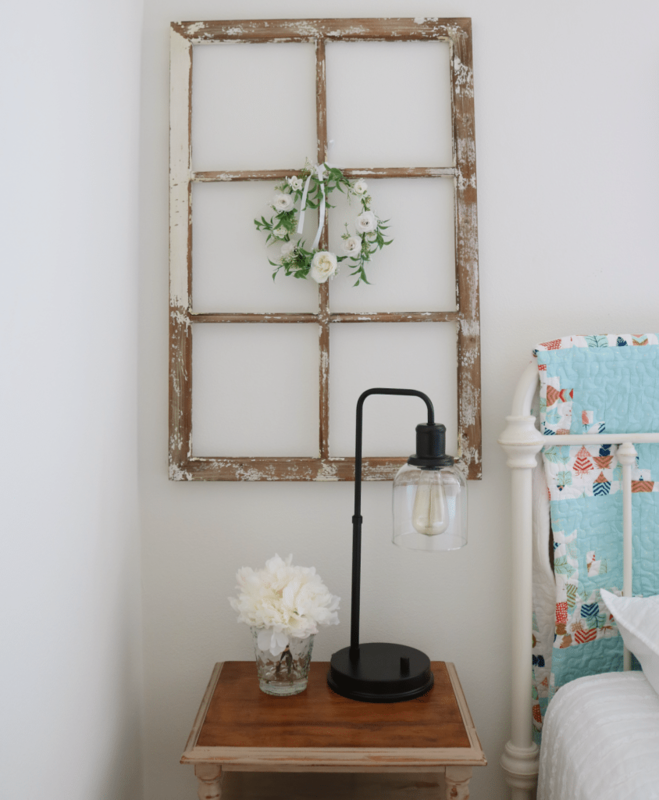 As you know, I’m a country girl, always have been so my whole house is decorated in cozy farmhouse style. I do love adding color here and there and turquoise, aqua, any shade of blue is my favorite. I also don’t mind mixing lighter shades. There are varying shades of white in the room from pure white to off white. The collected over time look is my favorite. 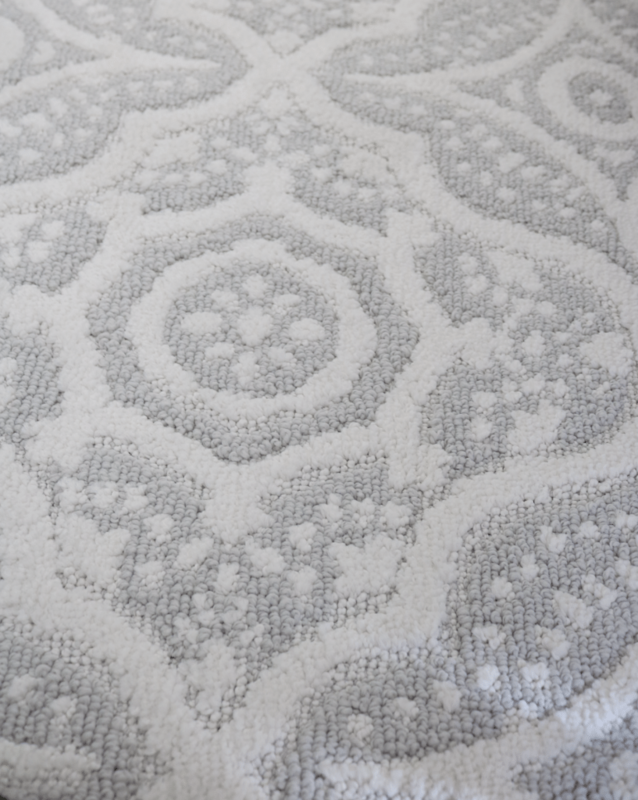 Here’s a closer look of the rug, it is beautiful. I love the color, texture and softness. Guest pampering, that’s my goal! The storage ottoman from the living room makes a great place to sit and put your shoes on. 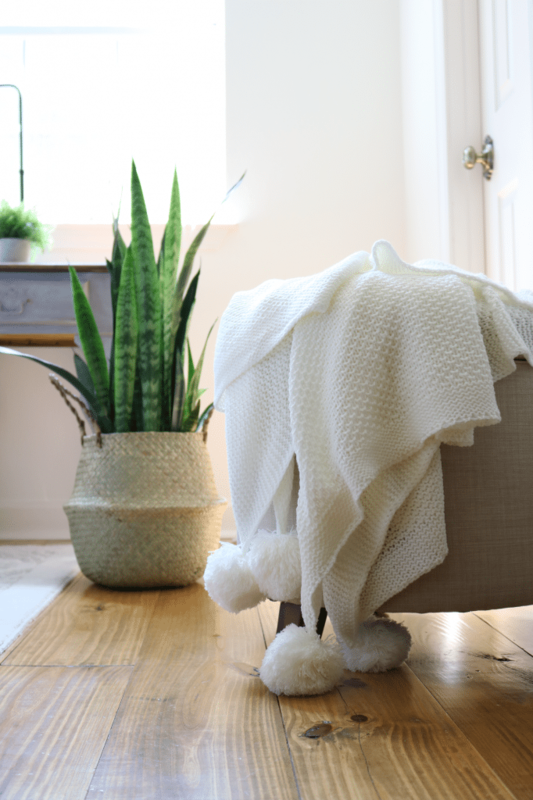 The lightweight pompom throw it perfect for snuggling under for an afternoon nap. Just a few changes, adding new items and moving the furniture created a fresh look. The lighter bedding and colorful accessories make the room more inviting, keeping the decor to a minimum leaves breathing room. Just me, but thinking the quilt (love it!) is competing with the wall art. How does the quilt look hanging over the foot railing? Big fan of homemade quilts! 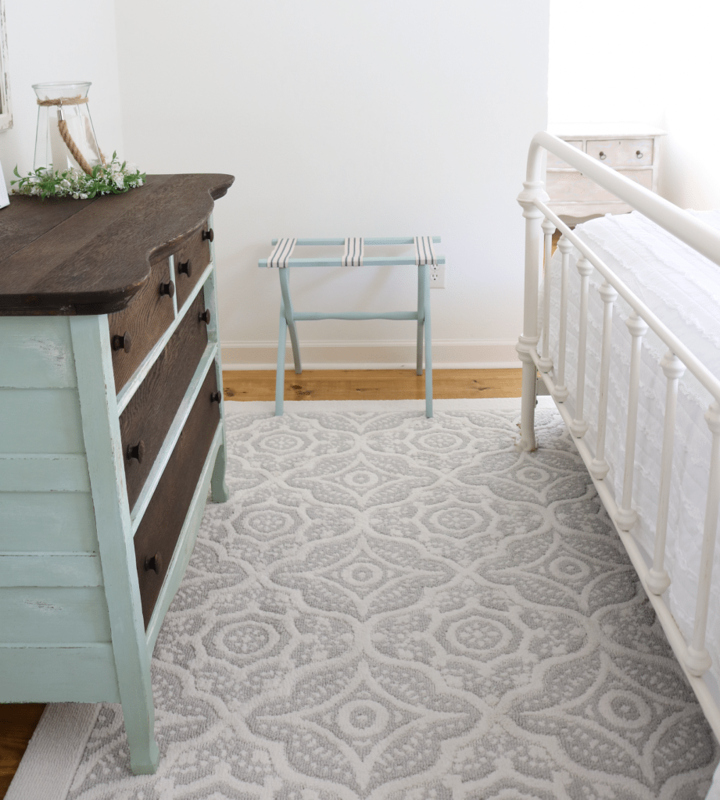 Also love the bedspread and lush rug! The light shades of blue made the room so comfortable and you indeed made it fresh. I would love to spend time and redecorate our guest room as well. Thank you for the step by step guide! So cute! Such a clever way to display a quilt. Love it. Beautiful! 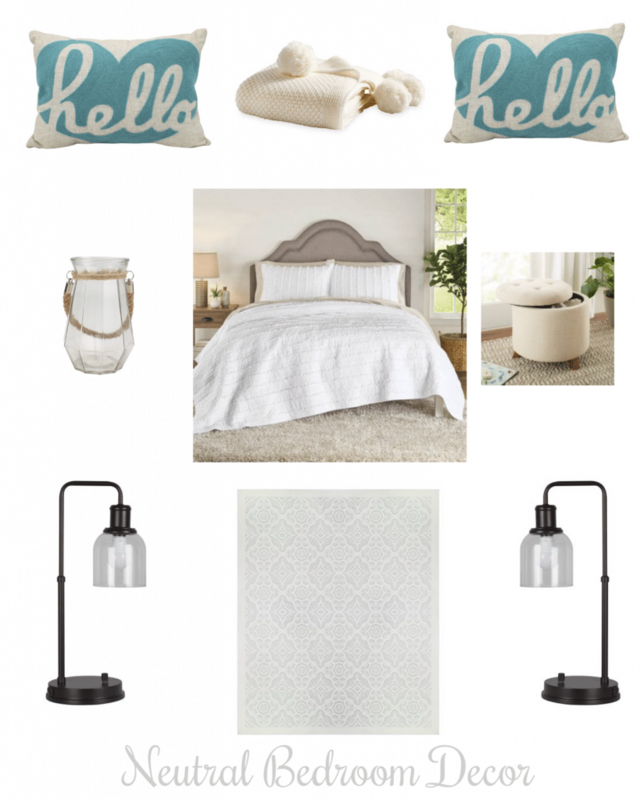 Working on a guestroom now and needed the inspiration. Not clear about the rug. 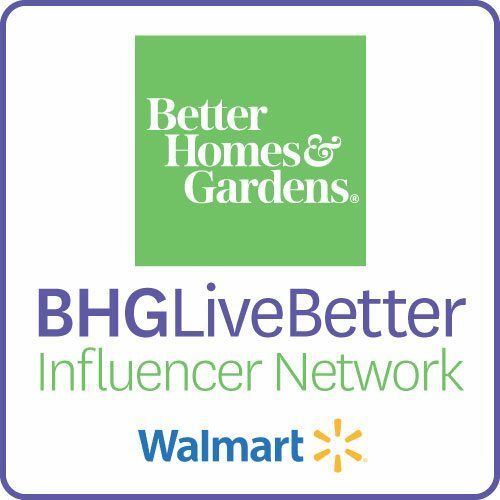 Is it Better Homes and Garden? Can’t seem to find it. Great refresh, love it all. Thanks so much Marty! I hope you’re doing well and enjoying your pool!